On the 8th December, Wado UK and its membership was able to celebrate 10 years of annual celebrations. In 2008 John Moreton our Chief Instructor suggested we should be celebrating the achievements of our group, and we have continued to do this ever since. If you have been part of this journey, and part of our success, we applaud your efforts. We sincerely hope that you will continue on this journey with us, and help us celebrate the next 10 years. 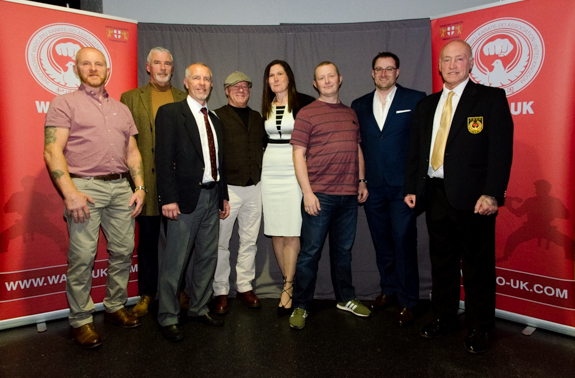 Of course the above is just a headline, the actual detail of the 2017 Presentation Evening can be found by clicking here, but if you are feeling nostalgic, why not click on the Presentations link in the left hand menu, where you will have the opportunity to visit each page of celebrations over the last 10 years. On Friday the 6th October, Wado UK held a Dan Grade for 5 students. For the first time in several years, all candidates passed both the written exam, and the practical assessment. This means that the Chikara Dojo now has Jakub Lutwiejko, the East Hull Woodford Dojo has Oliver Dearing, the Shinken Dojo has Ellie Hayes & Amie Newton, and the Zanshin Dojo has Joe Rose, all as newly qualified Shodan grades. On the 22nd July, Wado UK Chief Instructor John Moreton delivered a kata course to the 6th kyu - 4th Kyu students. Kata covered were the Pinan Shodan, Sandan, Yodan and Godan, along with Kushanku. We will soon be scheduling further courses so look on the dates pages and newsletters for more information. Wado UK once again held its Junior Champion hips this year, and a change of venue proved to work equally as well as previous years. Hull University despite undergoing a building transformation, gave us the perfect venue for this small but extremely well run competition. To see who won the medals across the six clubs in attendance, click this link. 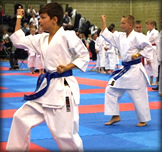 The BKF held the annual 4 Nations Championships on the 27th & 28th May. Two Wado UK clubs were represented, the Shinken Dojo and the Hull Zanshin Dojo. Paul Braid had a small group of Shinken athletes there, but that didn't prevent them from making both an individual and team mark on the medal table. Teams being the first on the tatami for kata categories saw Ellie Hayes, Amie Newton and Mia Bower win Gold with really strong performances. This would be followed by a Kata silver for Amie Newton's collection, and further by a Bronze medal for Jordan Taylor in his kata section. Excellent performances from all concerned. Barry Meanwell had Sam Gray from the Zanshin Dojo in his care, and although there would be no medals for Sam, he performed with his characteristic strength and determination. Sam is a hard worker and his time is sure to come. 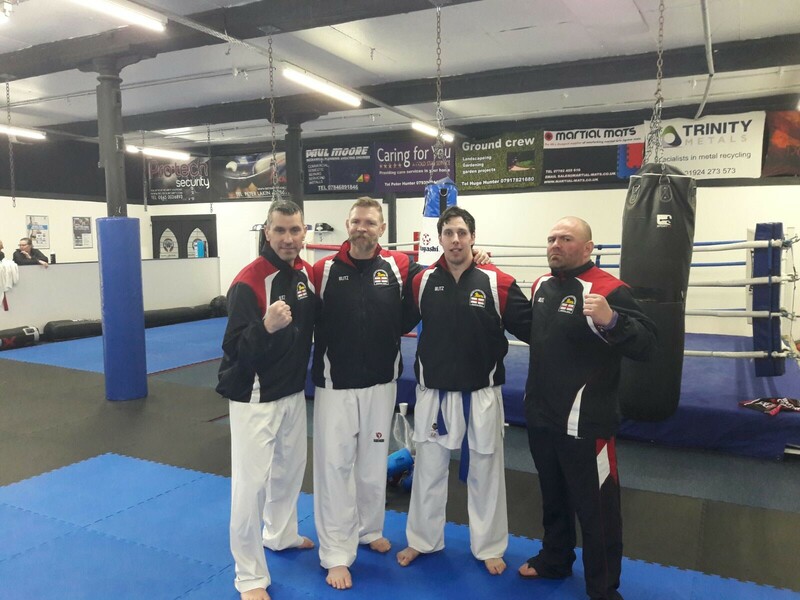 Chris Fenton of the Kazoku Dojo in Lincolnshire has recently been selected to represent the Northern Region. His selection will see him compete against athletes from the South and Midlands Regions in Leicester on the 23rd July. We will bring you news of the event on its conclusion. Chris can be seen below 3rd from the left with Regional Coaches from L to R Frank Pullano, Matt Price and Paul Newby. This year saw a remodeled National Championships, with a new venue, new organiser, and a new model. The results were astounding, with more room, better categories, and a better outcome. To read details of the event, and to see the Shinken Dojo success story, click here. We are pleased to announce that Jordan Taylor of the Shinken Dojo has once again been selected to represent the English Karate Federation, this time at the Senior European Championships. This is Jordan's second selection, and he will fly out to Turkey in May as part of the senior men's team for this latest competition. We wish him all the very best for the event, and we hope to bring you detail of a success story on his return. Over the extended weekend of the 17th-19th February, Sofia in Bulgaria played host to 50 European Nations, all with squads eager to prove their superiority at Cadet, Junior & under 21 level. 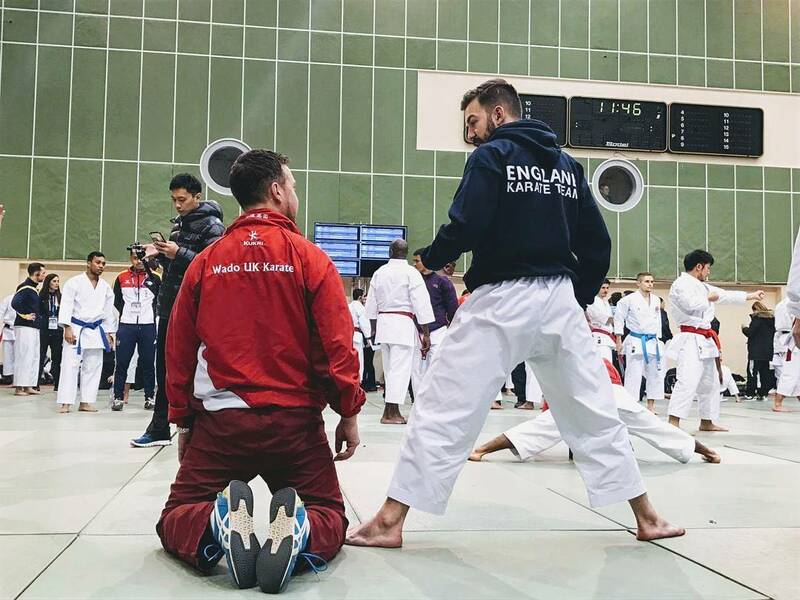 Jordan Taylor was there to compete in the kata events following his selection onto the England squad. Although he didn't’t return home with a medal, he did himself and us in the process proud. He should be congratulated once again for his selection, and I hope this was just a curtain raiser for further selections and opportunities in the future. Three of our Wado UK clubs visited the Yorkshire Open on the 5th February. It was a long day for our competitors, with the competition still going on after 10:00pm. To see a report and read the results for the day's events click here. The Paris Open is traditionally the opening international competition of the year. It is also what the World Karate Federation term a K1 event. These K1 events are the highest ranking tournaments of the year, outside of the Continental and World Championships. There are 5 K1's over the course of the year, but at this one in Paris, Jordan Taylor of the Shinken Dojo decided to compete as part of his Junior European Championship preparation. With a large field in his kata section, and current and former winners in the field, it was always going to be a tough task. Jordan competed well however, and despite not winning a podium place he gained valuable experience at this level. On Sunday the 15th January, five Wado UK clubs attended the English Karate Federation Kyu Grade National Championships in Sheffield. At the event was the Chikara Dojo, the East Hull Woodford Dojo, the Kazoku Dojo, the Shinken Dojo and the Zanshin Dojo. To see how our competitors got on, click here.